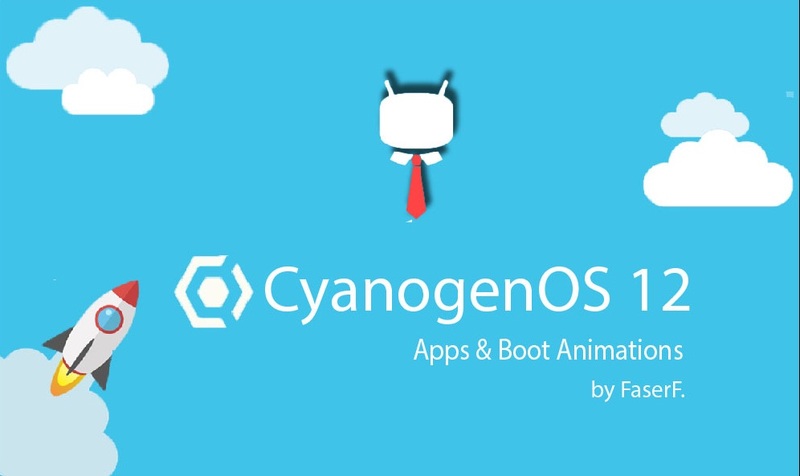 [Flashable] CyanogenOS 12 Apps & Boot Animations for all. Have you ever seen the Cyanogen OS 12 Apps or the CyanogenMod 11S Apps and thought: “Hey, they look quite nice, but why are they only for OnePlus One and Alcatel phones?”. Now you don’t have to think about this anymore. Just download my zip file and flash it in your recovery. You can choose between a full, medium and small package, read more below. This will remove all unnecessary pre installed Apps in CyanogenMod or other AOSP Roms and install all the Cyanogen OS Apps on your phone. 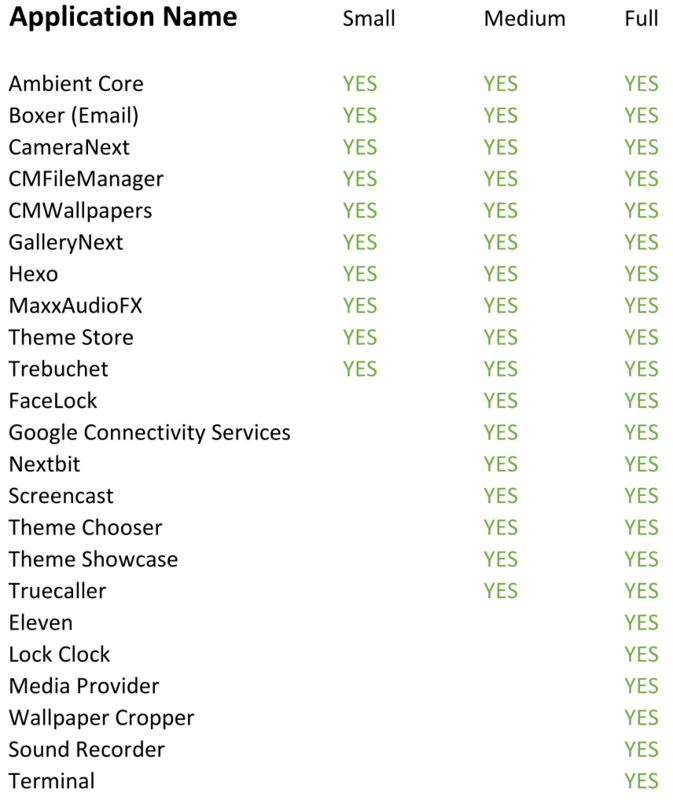 You can also read which Apps will be installed and which one will be deleted. And the official Cyanogen OS 12 OnePlus boot animation is also here. I will try to keep the apps up-to-date, so check back later here for new Cyanogen OS Apps or updated Cyanogen OS Apps. This zip should work on any AOSP based Rom like CM, omni and more, please read more at “How to install” and “Q&A”! These Apps will only work without problems on CM (based) Roms, like CyanogenMod, BlissPop, Ressurrection, Nameless, etc [it should also work on AOKP, Pac Man, Omni, but these will cause Bugs , maybe more, but I haven’t tested more so far]. It might not work on few Roms like Sense (HTC), TouchWiz (Samsung) and more correctly and could cause problems like force clauses and more. If you are flashing the App zip on a non AOSP based Rom, my zip won’t remove any apps on your phone, which could cause problems, use on your own risk! Download the Zip from below. Goto Recovery & Select Install Zip through SDcard. Select the downloaded file & Flash it. NOTE:  YOU WILL HAVE TO FLASH THE ZIP AGAIN AFTER AN AOSP ROM UPDATE ON SOME ROMS! – Android Version Required: Android ? – 5.X [please test and give some review if it worked on older Android Versions! Confirmed working on: Android 5.0, 5.0.1, 5.0.2, 5.1, 5.1.1, maybe more, you have to tell me! If you are having problems/bugs, please ALWAYS tell me your device and rom! Thanks! It is also NOT allowed to copy and paste my whole written text for this project on your/other websites! Q: Will this Rom work on AOSP Stock Roms like Nexus or Motorola one? A: Maybe, but I won’t give support for this. My zip can and will cause problems on Stock Roms! Q: I am having problems on a non CM based Rom. A: Non CM based roms will cause bugs! I cant keep an eye on every rom, so maybe I am unable to fix it! Q: I am using CM as my secondary Rom, can I flash this zip? A: NO! This won’t work! Q: Will it work on Android 4.4? or older? A: It should work on Android 4.4, but there will be bugs maybe. On even older Android versions there will be more and more problems! Use it on your own, and don’t be to shy to tell me if it worked! Q: Where is the per app themer? A: Sorry, it is not possible to port the per app themer, as this is a rom feature and not an app. You will only get this feature on official Cyanogen OS 12. Fabian Seitz is an Android developer from Munich, Germany, commonly known by his Dev name "FaserF." He loves to explore Android devices & customize it.